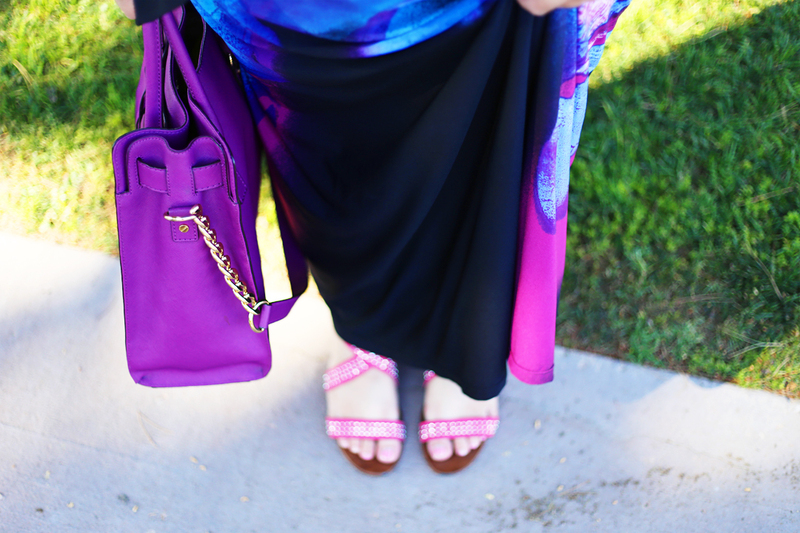 I’m wearing IGIGI all week on the blog this week and so far, I’m in love with everything. The first dress was pretty much plucked from a rose garden and this dress is just as beautiful. I had lunch plans with one of the girls after class – and we decided to try a wonderful seafood spot along the water. I’m not sure why, but when I think of going anywhere near the water, I always think a maxi dress is just so chic! I paired this dress with my favorite berry lippie, berry tote [similar] and elastic strappy flats [similar]. I decided to keep my look casual by choosing only one piece of jewelry. One of my favorite things about IGIGI is that many of their dresses are so beautiful, you don’t need to wear a bunch of accessories to be put together. I chose a simple statement ring [similar] and I’m happy I did!